Wigan Athletic boss Paul Cook admitted last week his belief that Sheffield United are the best side in the Championship. Leam Richardson, however, believes as many as a third of the division are vying for that claim – including Sunday’s opponents Leeds. 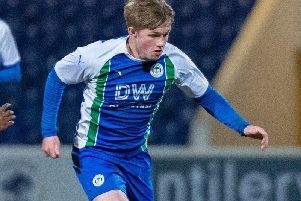 “I would say there’s a handful of six to eight very good teams fighting to get promoted,” the Latics assistant manager said. “On any given weekend, any of them can lay claim to be the best team in the Championship. “It’s going to be the ones who keep it going on a consistent level, and stay clear of injuries, who are going to make it. “I’ve managed to watch Leeds a few times this season, and the intensity they play with – with and without the ball – is very good. The Leeds revival has been sparked by the summer arrival of veteran boss Marcelo Bielsa, and Richardson is quick to acknowledge the effect he’s had. “I’ve a few friends who play for Leeds, like Liam Cooper, and I speak to them quite a bit,” Richardson revealed. “They’ve all been impressed by the training regimes the manager’s put in, it seems to be working for them. “A lot of the big managers have spoken really well about him, and that comes as no surprise. “I saw Leeds on the first weekend of the season against Stoke and I thought they were breathtaking to watch. Latics are hoping to bounce back to winning ways after successive losses on the road at Millwall and Sheffield United. Richardson, though, says the 4-2 reversal at Bramall Lane in particular wasn’t a fair reflection of the game. “Barring the individual errors, I thought we gave a good account of ourselves on the whole,” added Richardson. “It could easily have been a different result on the day, it wasn’t, and we move on. “But there were certainly things we can look to build on in the lead-up to Leeds and be better for that one. “It’s been mentioned a few times but this league really is about fine margins. “You can see that in the league table – such a small number of points covering such a large number of teams.